New white plastic drop target with 3X artwork decal. 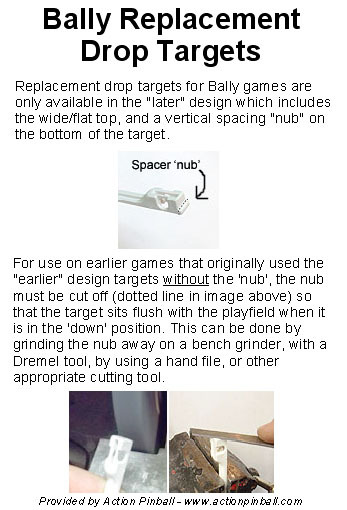 Used on several Bally electronic solid-state (SS) pinball games in the 1980s. BALLY: Eight Ball Deluxe, Eight Ball Deluxe Limited Edition, more?